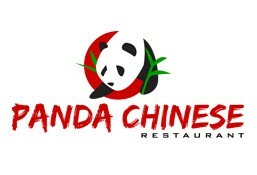 Panda Chinese is currently closed for delivery and it will open at 11:00 AM today . 1 or 2 regular entrée, spring roll, fried rice or chow mein. Green pepper beef, sweet n' sour chicken. Quick Wok seared beef strips with onions, spring onions, garlic, dried chili and finished with a spicy stir fry sauce. Szechuan chili chicken, szechuan chili fish. Mixed vegetables, manchurian veg balls. 6 pieces. With noodles or rice or half/half. Large prawns lightly battered in a tempura like mixture, then deep fried until golden brown. Quick Wok seared beef strips with onions, spring onions, garlic, dried chili and finished with a spicy stir fry sauce. Our signature house made noodles wok tossed with carrots, onions, shredded cabbage and spring onions.